An interesting parenthetical clause. 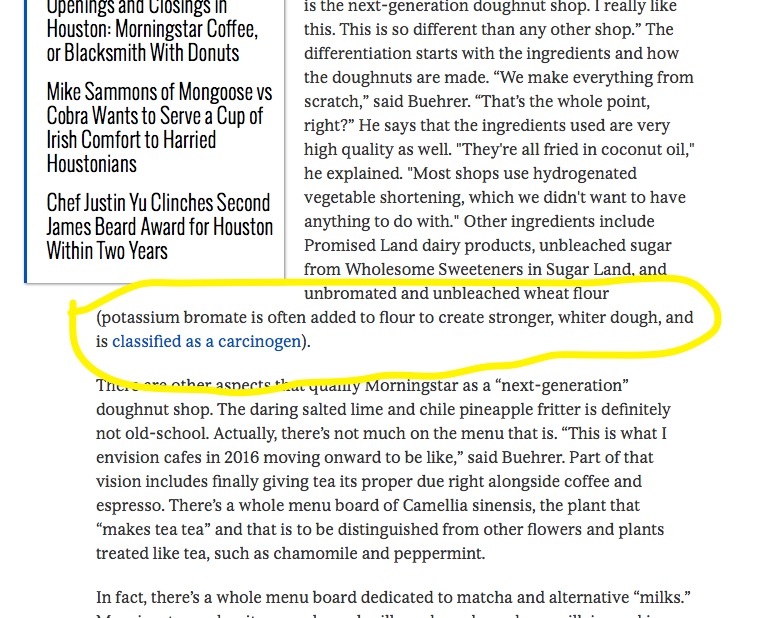 After all, much handwringing and high value is given to using "unbleached" and "unbromated" flour already exists, but what is the basis for mentioning potassium bromate directly? Before we go into the chemistry of flour bleaching, I tried to find out just how often potassium bromate is added to flour. 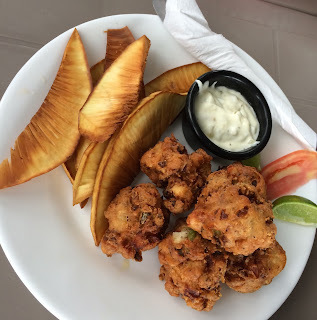 By law, it has to be listed among the ingredients, and it's quite difficult to source specifically bromated flour. In fact, I get the impression that using bromate in flour has fallen out of favor given the concern that less that fully cooked bread can retain trace amounts of it - and there are multiple alternative oxidizing agents available. I'd welcome comments as to the commonality of bromated flour in restaurant and home applications. So why is bread bromated and or bleached? Freshly milled flour actually doesn't bake very well, and usually has a yellowish cast. Aging the flour while exposed to air results in oxidation of the proteins and carotenoids, resulting in a paler color, and better baking performance. However, aging is notoriously poorly reproducible, and slow. But we do know that what we are looking for is oxidation - so we can add oxidizing agents in trace amounts to not only speed the process but also make it more reproducible. So, bleaching agents (i.e., benzoyl peroxide) serve to whiten the flour, while maturing agents help develop the gluten. 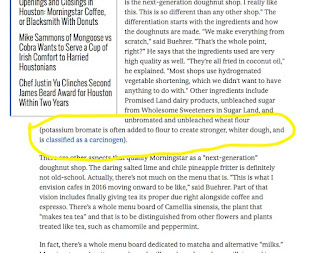 Potassium bromate is a maturing agent - so it doesn't serve to create "whiter dough". Note, however, that there are multiple possible bleaching and maturing agents. 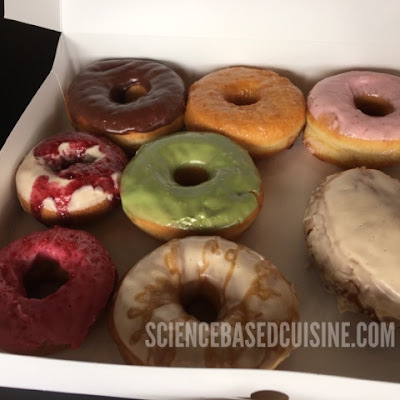 In most small batch situations, there really is negligible difference between using unbleached and bleached flour - arguably when scaled up to industrial levels, the differences in reproducibility can be dramatic. But at least in the case of cake flour, bleached (matured) flour is definitely superior in angel food cake. Search results for potassium bromate on Google will be dominated by multiple articles calling it out as a carcinogen - notably the IARC classification of carcinogen Category 2B. However, this classification is so broad, it includes things like coffee, pickled vegetables, and talcum powder. Being a powerful oxidizing agent, doses of potassium bromate is undoubtedly toxic, but I don't see any concern about it with regards to flour. Adding an emotionally charged and factually dubious clause to the report tends to fuel the misunderstandings about flour processing. I do think preference for unbleached flour is certainly any cook's prerogative, but scientifically, that declaration does not add significant value. Hat tip to Stella Parks of bravetart.com for her article in Serious Eats. And to Sam Vance (@samvance on Twitter) for vigilant reading of food science, and for sending Stella's article my way.